A small fire that broke out inside the Sheraton San Diego Hotel & Marina forced an evacuation Wednesday of guests and employees, an official with the San Diego Fire-Rescue Department said. 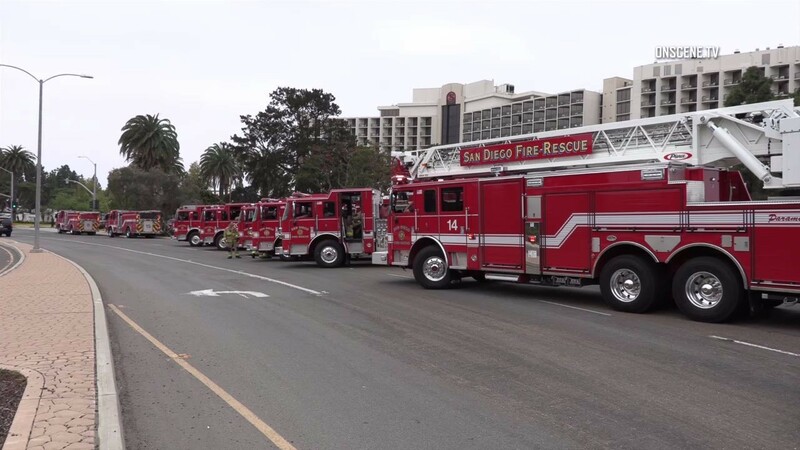 The blaze was reported shortly before 2 p.m., near an elevator shaft, in a maintenance area of the hotel located at 1380 Harbor Island Dr.
A construction crew was able to quickly extinguish the fire, but not before smoke wafted up through the elevator shaft and spread throughout the building’s floors, according to Battalion Chief Glen Holder. Harbor Island Drive was blocked to inbound traffic at North Harbor Drive during the emergency response. People were quickly allowed back into the hotel after crews determined it was safe to re-enter. No injuries were reported.